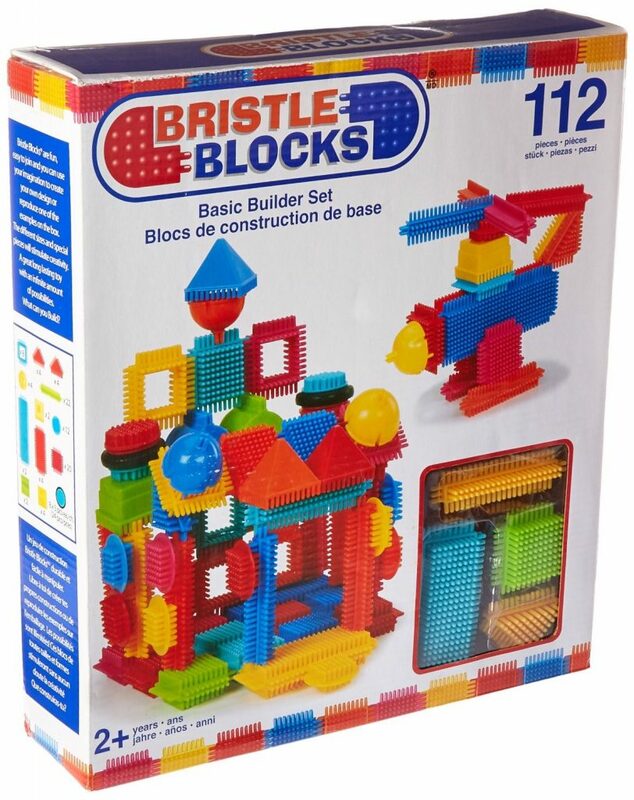 What it is: [Amazon product description} The Battat Bristle Blocks 112-Piece Basic Building Set is ideal for building hand-eye coordination and stimulating young, curious minds. Bristle blocks feature soft, interlocking bristles that stick together at any angle for frustration-free building. This basic building set includes 112 pieces in assorted sizes and vibrant colors for hours of imaginative play. Eight (8) functional wheels add motion to objects, providing additional options to young builders. The blocks in this set are compatible with Battat Spinaroo and Stackadoo bristle block sets. What I Love: I love the tactile learning and encouragement to pretend and build. My son loves building castles and rockets! He gets so excited to build with mommy or daddy and show us what he’s done. What I Would Change: Nothing!